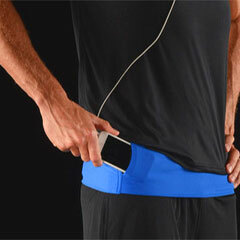 If you are seeking the very best running belt or running waist pack, look no further. Welcome to The TUBE®, your ultimate multi-use, unisex, wearable waistband for running and much more. From serious athletes to weekend warriors, this stylishly sleek modern day fanny pack works for everybody and every body. 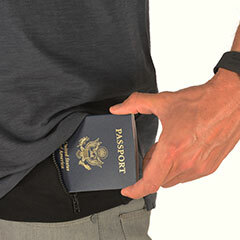 Made of machine washable Lycra and featuring three unique pockets, The TUBE® Wearable Waistband is ideal for the gym, sporting events & concerts, a night out on the town, walking the dog, traveling, and anywhere you want to keep your phone and everyday essentials close, safe and secure. The TUBE® waistband sizing comes in XS/S, S/M, M/L and L/XL, and in a rainbow of color combinations. Round out your wardrobe with this quintessential functional, flattering and fashionable cell phone accessory that holds so much more!